Welcome to the Blue, Eric Surkamp! Eric Surkamp, acquired by the club less than two months ago, has joined the Dodgers for tonight's game. As you'll recall, we attained the minor league starting pitcher from the White Sox for former Dodger prospect Blake Smith. He will replace the injured Carlos Frias. Surkamp will not start, however. 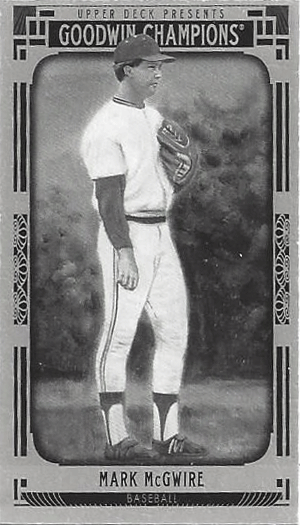 Instead, relief pitcher Yimi Garcia will make his first official MLB start, with the Dodgers possibly then playing a platoon switcheroo and bringing Surkamp in for early long relief. 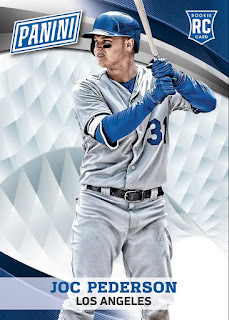 In celebration of Surkamp's arrival to the Dodgers I made the above fantasy card for him. 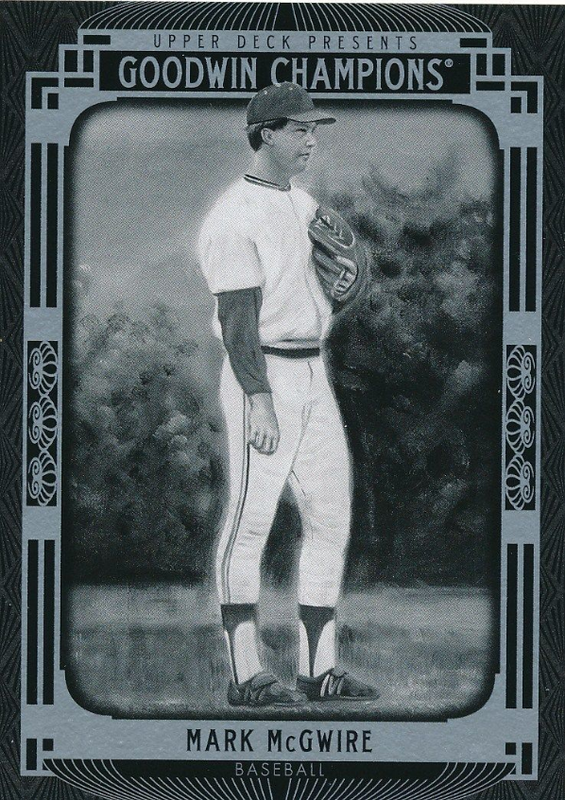 I used a photograph grabbed from his twitter account and the 1972 Topps Baseball card design. I just found out about this and can't believe it. Bobby Crosby, the proprietor of the famous DodgerFilms on youtube, has been told that he can "no longer film anything at Dodger Stadium." Wha....? I think it's fair to say that there is no other fan, including those that blog about the team like myself, that has done more to support and promote the team than Bobby. Check out his video page here on youtube. He gets hundred of thousands of hits per video and I assure you that kids love watching his exploits. Crosby provides more free publicity and goodwill than can be measured, and to stop him from doing what he does is a shame. Watch his video explaining the situation below. There is also a petition on change.org. (Hat Tip: mpgiii on reddit) I might also suggest writing the Dodgers. You can do that on their website here. There was also an email the current ownership gave out when they initially took over the team that the team president, Stan Kasten, claimed he looked at personally. 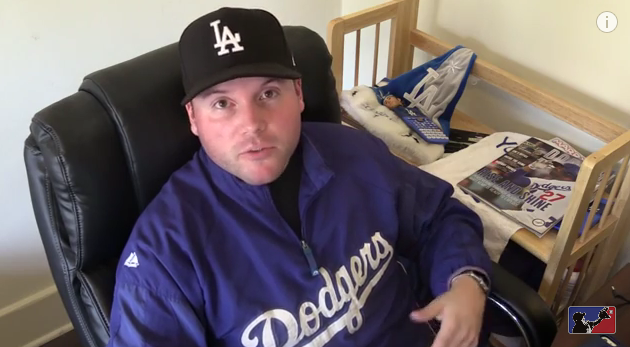 It is: fanbox@LADodgers.com (I'm not entirely sure if this is still in use). 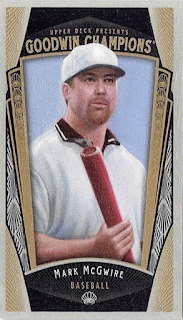 Besides, I feel kind of sad for Upper Deck. 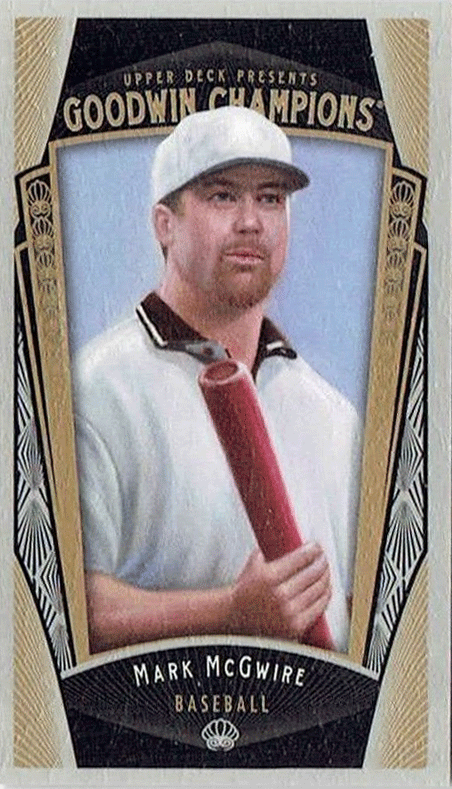 They are basically out of the Baseball card hobby after being the most influential innovator in the business in the early 90's. Today, after years of poor management, lost licenses and declining prestige are just a mere shadow of what they once were. 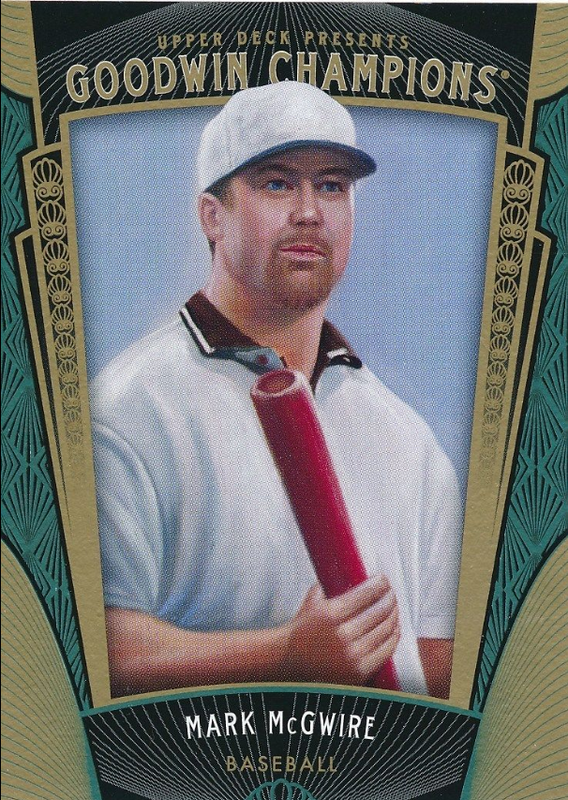 So, here ya go - a Mark McGwire 2015 Upper Deck Goodwin Champions card featuring him in a polo shirt while holding a bat. 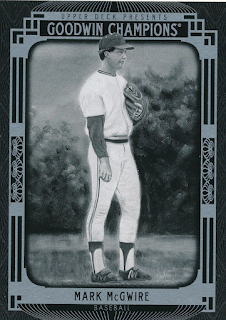 At least it's not as gloriously ugly look as that Ron Cey card from last year. Go here for a complete checklist of the set. Phillies Series Starts Today - Scheduled Autograph Sessions, Pregame Info and Other Stuff! The next homestand starts Monday evening (tonight) against the Philadelphia Phillies. Below are the scheduled autograph opportunities and other odds and ends for this upcoming homestand. 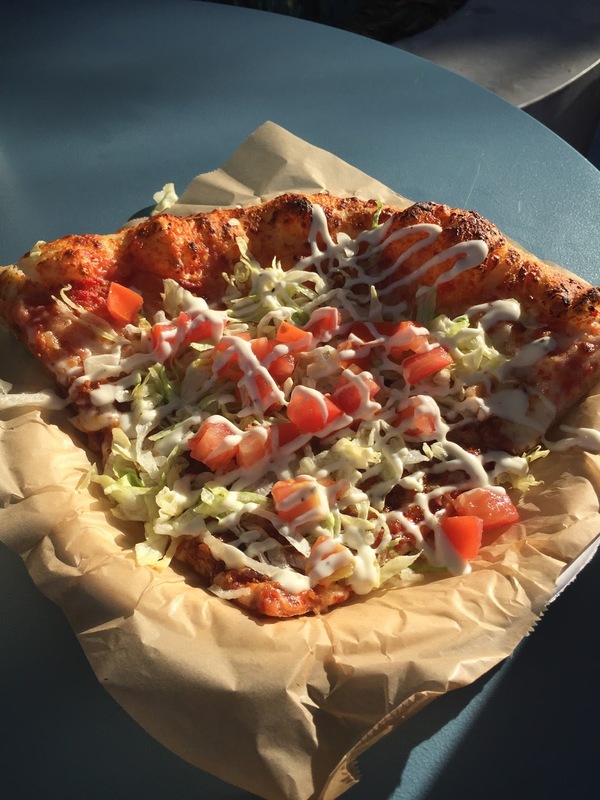 Tommy Lasorda’s Trattoria will be offering the BLT Pizza during this homestand. It features a fresh dough pizza slice with shredded mozzarella cheese, Applewood smoked bacon, topped with shredded iceberg lettuce, diced tomatoes and drizzled with creamy Ranch dressing. Check out a pic of it on the left. 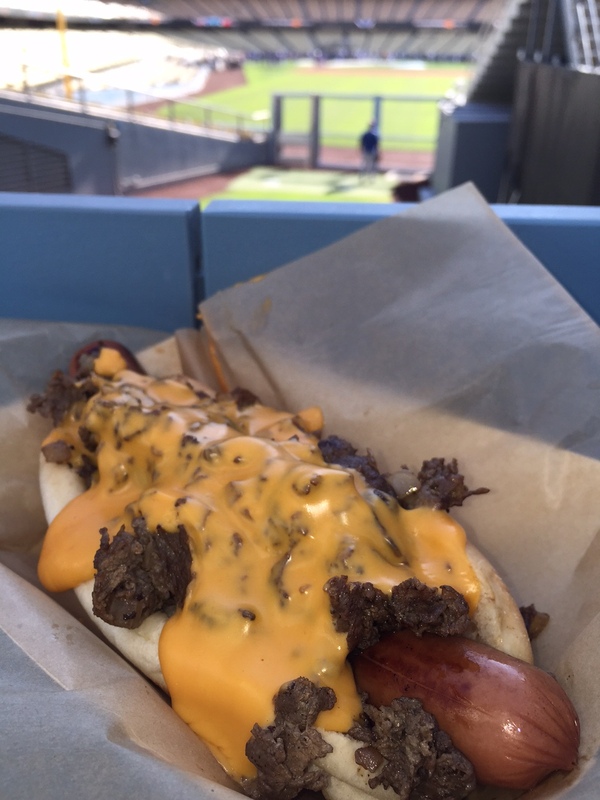 The Extreme Loaded Dogs stands will be offering the Philly Cheesesteak Dog for this series against the Phillies. It consists of a quarter pound all-beef Super Dodger Dog topped with shredded beef sirloin, sautéed onions and cheese whiz. Check out a pic of it on the right. Monday's game starts at 7:10 PM. Auto gates open at 4:30 PM, and stadium gates open at 5:00 PM. 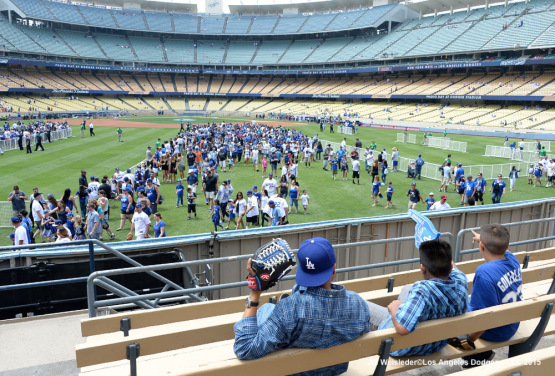 The first 40,000 fans in attendance will receive a Maury Wills bobblehead. See it on the left. Former “The Voice” contestant and current star of “Phantom of the Opera” at the Hollywood Pantages Theatre Chris Mann will perform the national anthem. 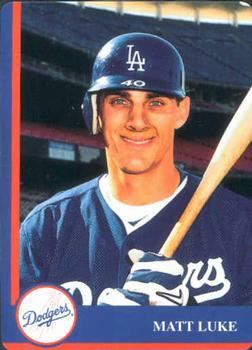 Dodger alumnus Matt Luke will sign autographs in the left-field pavilion from 5:00 p.m. to 7:00 p.m. The Military Hero of the Game is retired U.S. Air Force Major General Marvin Barry. World-famous dog trainer Cesar Millan will throw the ceremonial first pitch. Millan will be joined by one of his dogs named Junior. 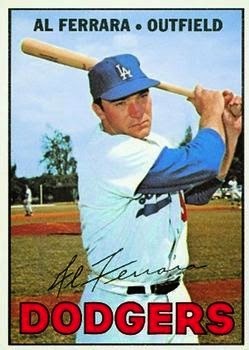 Dodger alumnus Al Ferrara will sign autographs in the left-field pavilion plaza from 5:00 p.m. to 7:00 p.m. The Military Hero of the Game is U.S. Marine Corps E5 Sergeant Alexander Esquer. Wednesday's game starts at 7:10 PM. Auto gates open at 4:30 PM, and stadium gates open at 5:00 PM. 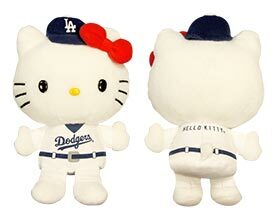 The first 40,000 fans in attendance will receive a Hello Kitty plush doll. See it on the left. It is also Japan Night at Dodger Stadium. The Nisei Week Court will be on hand and a Taiko Drum performance by LA Matsuri Taiko will take place pregame. Hello Kitty will participate in photo sessions in the right-field plaza from 5:30 p.m. to 6:30 p.m. and 7:30 p.m. to 8:30 p.m. Hello Kitty will throw the ceremonial first pitch. Peter O’Malley, president of the Dodgers from 1970-1998, will receive “The Order of the Rising Sun, Gold Rays with Neck Ribbon” decoration from Harry H. Horinouchi, Consul General of Japan in Los Angeles. The pregame ceremony will mark the official presentation of the decoration, conferred by Emperor Akihito. If not already sold out go here for information. The Extreme Loaded Dogs stands will be offering the Nihon Teriyaki Dog for Japan Night, only. It consists of a quarter pound all-beef Super Dodger Dog is dipped in teriyaki sauce, served on sweet Hawaiian bread and topped with a pineapple, cilantro and diced tomato salsa. 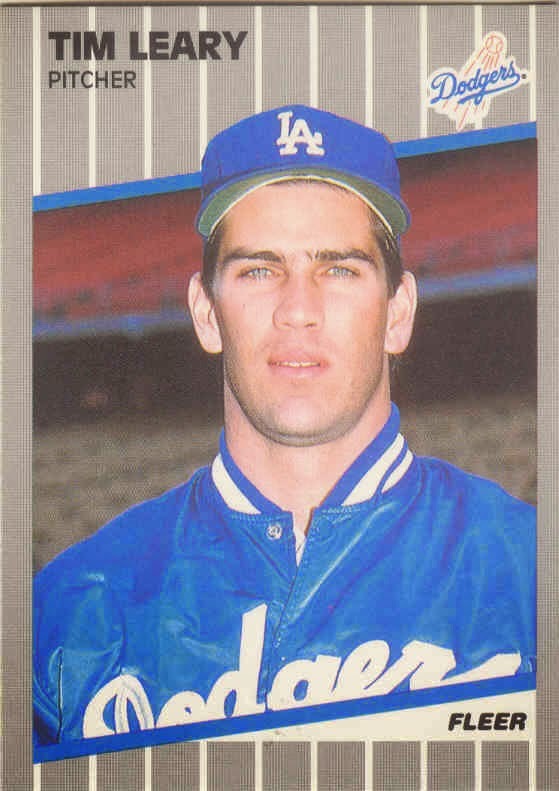 Dodger alumnus Tim Leary will sign autographs in the left-field pavilion plaza from 5:00 p.m. to 7:00 p.m. The Military Heroes of the Game are U.S. Army E4 Richard Krykrew, U.S. Navy E4 Benjamin Robles, U.S. Navy Petty Officer Third Class Mayo Westbrooks and U.S. Marine Corps Corporal E4 Marlowe Dickerson. Thursday's game starts at 7:10 PM. Auto gates open at 4:40 PM, and stadium gates open at 5:10 PM. Singer and songwriter Blair Perkins will perform the national anthem. Actress Judy Greer, star of “Jurassic World” and FX Networks’ “Married,” will throw the ceremonial first pitch. 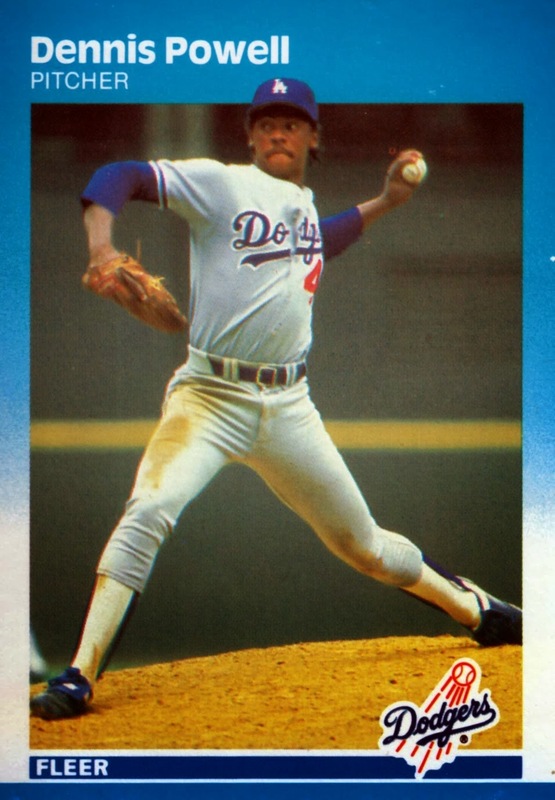 Dodger alumnus Dennis Powell will sign autographs in the left-field pavilion plaza from 5:00 p.m. to 7:00 p.m. The Military Hero of the Game is U.S. Air Force Technical Sergeant E6 Bert Brescher. Yesterday was Photo Day at Dodger Stadium, and as you can see above there was plenty of room for fans to interact with the players. Go here to check out a bunch of pics taken by Dodger photographers Jill Weisleder and Jon SooHoo of the afternoon. Photo above via Jill Weisleder/LA Dodgers 2015. Via Spencer Bingol at Beyond the Boxscore, "No one is swinging at Mike Bolsinger." Per Baseball-Reference, Mike Bolsinger has a whopping 37.2 percent strikes looking rate, which is the highest rate in the majors by a 3.2 percent margin (ahead of the Marlins' David Phelps). By Fangraphs' metrics, his 55.1 percent zone-swing rate is by far the lowest in baseball (minimum 60 IP). He also features the 12th-lowest outside-swing rate, and the lowest total swing rate (39.1 percent). 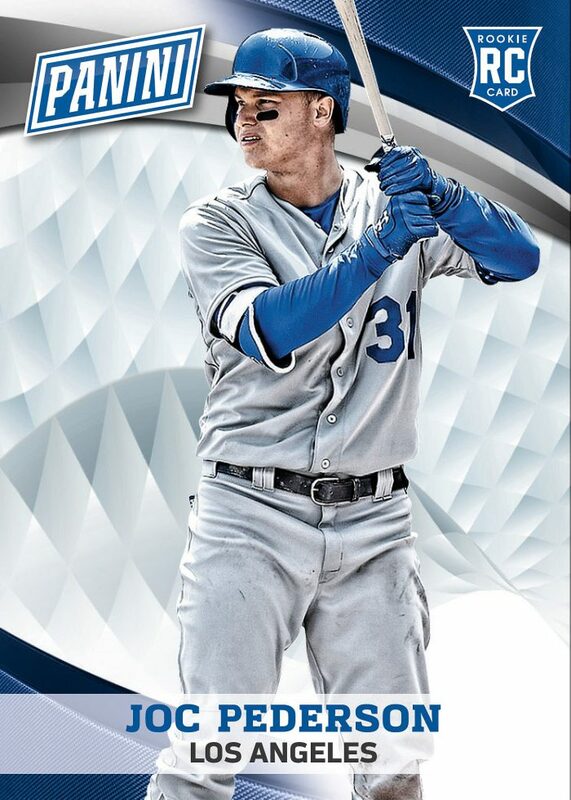 For the National Sports Collectors Convention in Chicago at the end of this month Panini America is handing out a six-card set to VIP's that includes the Joc Pederson card below. Go here to see the rest of them.